ETA: I had this just as a recipe in discussions, but decided to add a pic and move it to finished projects. Obviously the pic is of the half mold variety made using the pull apart Christmas ornaments and not my regular mini muffin tin bombs. To pack them in really firmly I push on the top with the bottom of a (clean) 16 oz amber glass bottle, it's the perfect size. The pic shows the bottom of the ornament, but I really used just the top half, it is a tiny bit bigger than the bottom, as you can tell by the fake pic of me pushing on the already dry bomb with the glass bottle. The top half has a little bit of a tab which is nice to hold onto and allows you to tap the bomb out easier than using the bottom half. These bombs are eucalyptus rosemary mint. And the wussy little one on the right isn't a whole one, it's just what I had left over. I know there are a couple people having problems with pre-fizzing bath bombs, so here's the recipe I use. No spritzing with witch hazel and adding the citric acid at the end saves if from fizzing while you make them. You can leave out the SLSA if you don't like using it. 1. Add the oil, water, FO, and coloring and “mix” in one bowl. Of course the oil and water won’t actually mix together, but get it all in there. 2. In another bowl toss together all dry ingredients, except citric acid, being very careful with the SLSA since it is a superfine powder and will get up your nose and you will choke! You might want to wear a little mask at this point, Michael Jackson style. 3. Add the liquid to the dry mixture and stir. 4. Mix well with hands, while doing this start adding the citric acid. 5. It is ready to mold when it reaches pie crust consistency. Pile into mold cavity and push very hard down into molds. 6. Tap molds out immediately onto a cookie sheet or wax paper to dry. You might want to try to use a paper towel, but that would be a bad idea. 7. Let dry overnight and package the next day. Use slippery tub caution due to oils in the mix. **Add 1/2 t Poly 80 to oils to make oil dispersible in water, optional. Tips: I usually use mini muffin molds to make my bombs, to get them harder I overfill each muffin tin with the mix and push down on the top of it with a bottle that is the exact size of the muffin tin (I belive it's a 4 oz fo bottle). I remove from molds immediately. 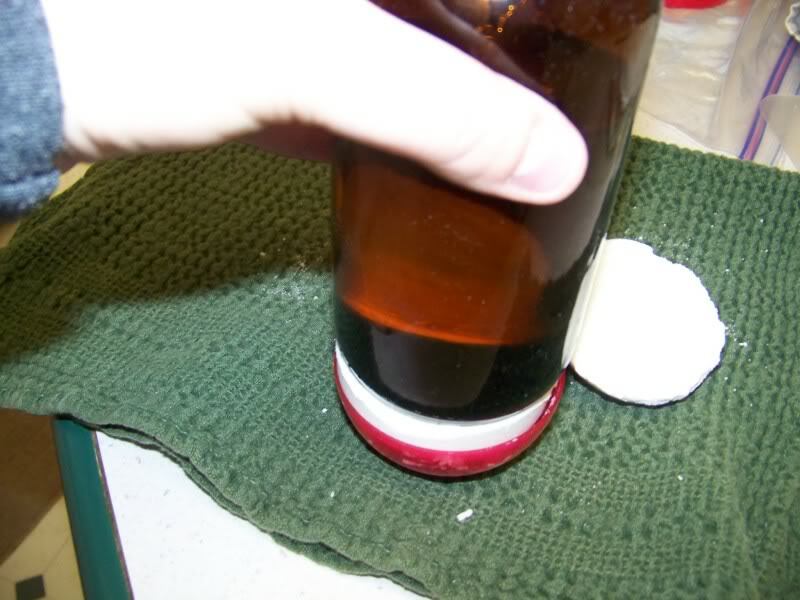 Try to resist adding extra liquids even though it will feel very dry. Correct consistency is like slightly wet sand you find after digging down a little ways under dry sand. If it's too dry to hold together, add a few drops water or oil at a time, but try to do that before adding citric acid. Makes 10 half spheres @ 2 oz. each. 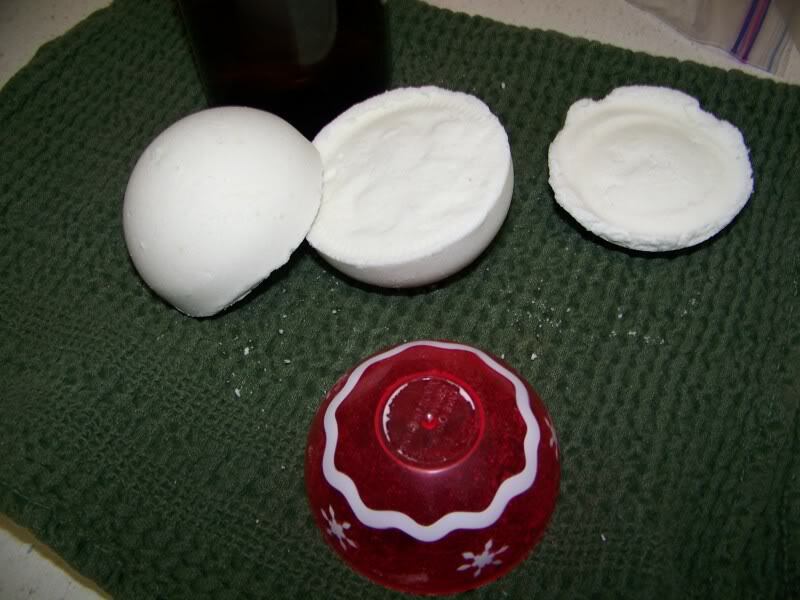 For one tub use 2 oz (half sphere). Makes 18-22 mini muffins. Use 2 per bath. * I added the SLSA for foaming. It was not in the original recipe and is fine without it, it is WAY more expensive than the rest of the ingredients, but I like them to foam and fizz. Some people are allergic to it, it is a surfectant. Credit to Froggie from Yahoo groups who gave me the original recipe many years ago. I am going to give this a whirl, but here is my question. After reading the directions, I don't understand how to get it into the cupcake type molds. It says to press the material into the molds hard. If I am making the cupcake type, wouldn't I just pour it in? It isn't wet like cucake batter. It's a ever so slightly wet powder. You compress it into whatever shape you want. 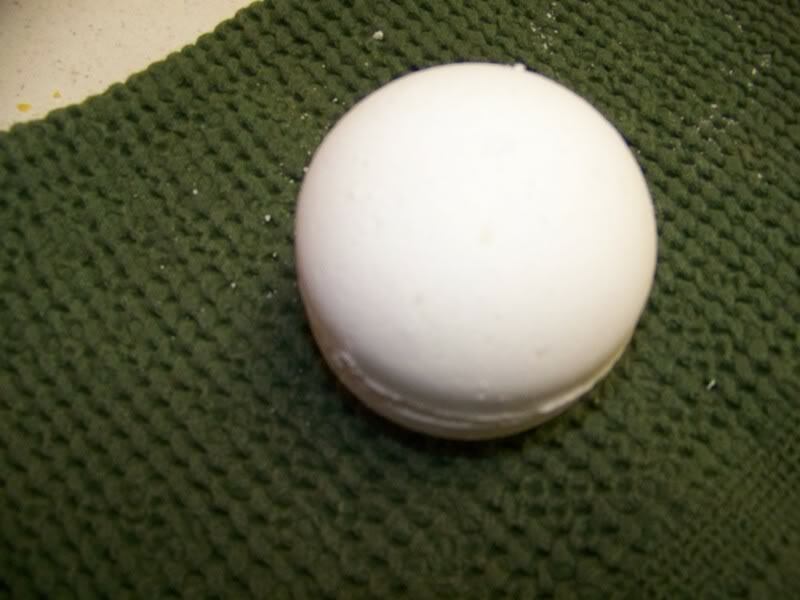 It's moisture that makes bath bombs fizz. If the batter gets too wet it will foam up before you get it to the tub. Now I know what my cousins are getting for the holidays! Thanks! bath bombs! Thanks so much!! This sounds like exactly what I was looking for. YAY! I updated this because I ALWAYS double the recipe I had originally (if not quadruple or more), and when I made it the other day I realized that I had the incorrect yield listed, it was the yield of a double batch with the ingredients for a single batch. So if you made this and thought it didn't make nearly as much as I said it would, I apologize! Thank you for the update Mare Mare. I actually had this bookmarked for some crafting that I'm doing very soon. One quick question, what is Poly 80?